The 30th annual Chicago Latino Film Festival (CLFF) recently announced its opening night gala film, Hernán Findling’s and Oliver Kolker’s dazzling and touching “Tango Glories (Fermín)” (“Fermín, Glorias del Tango”). The Opening Night Gala will take place Thursday April 3 at the AMC River East 21, 322 E. Illinois St. The event starts at 6 p.m. and will conclude with a reception following the screening at a location soon to be determined. Opening Night is sponsored by the Consulate General of Argentina in Chicago. “We have showcased the most exciting and vibrant stories from legendary and first time filmmakers from Latin America, Spain, Portugal and the United States and we continue to do so this year,” International Latino Cultural Center Founder and Executive Director Pepe Vargas said. “Tango Glories (Fermín)” (“Fermín, Glorias del Tango”) follows a psychiatrists’ unique philosophical discovery of the world of tango, its dazzling rhythms, music and spirit of life. Tickets for Opening Night are $80 general admission / $65 for ILCC members. Admission includes a special film screening and reception offering food, libations and live entertainment. Cocktail attire is strongly encouraged. Tickets will go on sale March 1st. 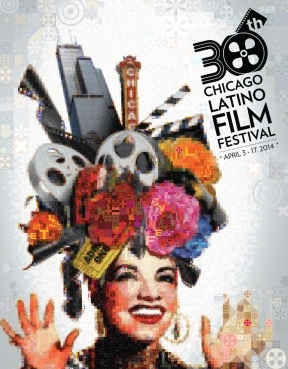 The 30th Annual Chicago Latino Film Festival (CLFF) will be taking place April 3-17 at AMC River East 21, 322 E. Illinois St. and will feature over 100 feature-length and short films from Latin America, Spain, Portugal and the United States. For more information, visit www.chicagolatinofilmfestival.org.